Once metal has been extracted from its ore and refined, it must be reshaped to make the final product. Metal forming and metal casting are two classes of techniques manufacturers use to shape metal. Although casting is sometimes classified as a type of forming, forming more properly describes other approaches, like forging, which is very different from casting molten metal. Manufacturers heat metal and reshape it to make a finished product. Casting is similar to the way manufacturers shape plastic items. In a casting process, the metal is melted and then injected or poured into a mold where it solidifies. As it does so, it takes on the shape of the mold. Using the same mold or molds prepared from the same master mold repeatedly ensures all the finished products are as identical as possible. Common casting techniques include green sand casting, permanent mold casting, die casting and vacuum process molding. Metal forming describes a wide class of techniques that involve working with solid rather than liquid metal. Forging is one of the most ancient and traditional approaches; it simply involves battering or pounding metal to make it assume the desired shape. 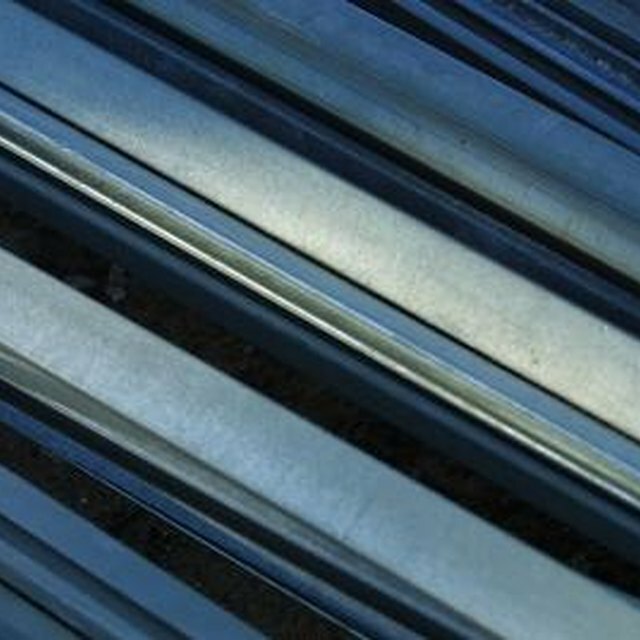 The metal may be either heated or at room temperature as desired. Drop forging is one variation where the metal is actually hammered into a die to make it assume the correct shape. Other metal forming techniques include stamping, where a large machine press batters the metal into the correct shape, rolling metal by compressing it between rollers and swaging metal by compressing it in a die to reduce the size of a tube. Casting is typically faster, less expensive and more efficient because it's easier to make liquid metal assume a desired shape. Automated die casting processes, for example, can rapidly turn out large quantities of near-identical objects. Casting can also ensure more consistency in the shape of the final product and thus greater accuracy. Different casting techniques offer manufacturers various combinations of strength, accuracy, design complexity, output, finish quality and other benefits. Despite casting's many advantages, there are also cases where forming is a superior approach. Some metals have very high melting points or are liable to react with air in their liquid states; these metals must be formed rather than cast. Forming makes it easier to control the microscopic structure and hence the mechanical properties of the product, which is one reason why formed products are typically stronger than cast. Finally, certain shapes are very difficult to prepare through casting. If the shape is long and thin, for example, it would be difficult to ensure the liquid metal stayed fluid while filling all of the cavities. This is the main reason why car doors, for example, are manufactured through forming as opposed to casting.